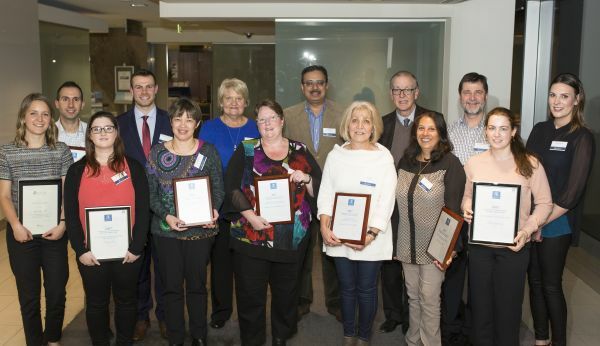 The theme of the 10th annual Awards Night was GP clinical data for research: Doing it right. The evening recognised and awarded individuals and practices for their roles in teaching and research in 2017. The Department of General Practice Annual Awards Night was held at University House at the Woodward on Wednesday 16 May. data in research was facilitated by Dr Nick Carr. General Practitioner and Radio Presenter. The panel included Dr Jo-Anne Manski-Nankervis; Dr Victoria Palmer; Dr Jessica Bell, a researcher in biotechnology, law and ethics; and Dr Janney Wale as consumer advocate.